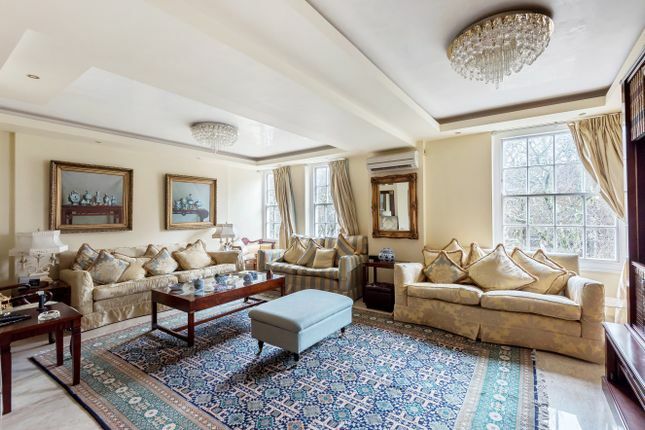 15 Portman Square is a highly sought-after purpose-built Art-Deco 1930's block situated on the north side of Portman Square. The building has excellent security with 24-hour porters, and residents have access to the private Portman Square gardens, which also include a tennis court. The building also benefits from lifts and communal heating and hot water. Portman Square is positioned to the north of Oxford Street and benefits from an array of local amenities. The world-renowned department store Selfridges is moments away as well as Marks and Spencer's and the shopping along Oxford Street. Michelin starred restaurants in Mayfair and along Park Lane are also a short walk away. Portman Square is on the west side of Marylebone on The Portman Estate and benefits from the boutique shops and local restaurants found in The Portman Village. The open spaces of Hyde Park are a few minutes away. Property descriptions and related information displayed on this page, with the exclusion of Running Costs data, are marketing materials provided by Jaffray Estates Ltd, and do not constitute property particulars. Please contact Jaffray Estates Ltd for full details and further information. The Running Costs data displayed on this page are provided by PrimeLocation to give an indication of potential running costs based on various data sources. PrimeLocation does not warrant or accept any responsibility for the accuracy or completeness of the property descriptions, related information or Running Costs data provided here.